James Eley IV was born on 10th March 1836. He was the second son of Thomas and Sarah Eley of Lower Morton, Thornbury. His father was a Yeoman and a devout Baptist, setting up the Morton Baptist Church opposite their family home which is now known as Chapel Farm, When James was only twenty-three his mother died and his father died four years later in 1864. He inherited Whites Garden, House and garden and Homefield at Morton from his father in 1864. In the 1861 Census James Eley was described as a Carpenter and then in later life as a Farmer of Lower Morton. On 12th May 1863 the Reverend John Morgan at Thornbury Baptist Church married James Eley to Ann Shield of Tytherington. He was described as a twenty-seven-year-old carpenter of Morton, son of Thomas Eley, a yeoman. Ann was described as a twenty-five-year-old spinster of Tytherington, daughter of James Shield, a yeoman. The witnesses were Henry Shield her brother and Susannah Daniell her niece. The Bristol Mercury for 16th May 1863 reported: ‘May 12 at the Baptist Church, Thornbury, by the Rev. J. Morgan, Mr. James Eley, of Moreton (sic), to Ann, youngest daughter of Mr. James Shield, of Tytherington’. Ann was born on 15th March 1837 at Barber’s Land, Tytherington and was baptised on 20th May 1837 at Tytherington Parish Church. She was the fifth daughter of James Shield, a farmer of 200 acres, and his wife Mary (nee Isaac) Anne received adult baptism on 28th April 1861 at Thornbury Baptist Church and she became a Member of that church in 1871. In 1881 the Baptist Church was described on a Thornbury town map as ‘Particular’. The Eley Family had a long association with the Baptist Church in Thornbury. In 1831 James Eley and Thomas Eley were Trustees. Later on John (sic) Eley, Thomas Eley, James Eley, Farmer of Morton, appl on 28-6-1871 and Henry Eley, Saddler of Cotham, 1871. On 13th November 1866 one of the first Trustees of the British School at Thornbury, built by Handel Cossham, was James Eley, Carpenter of Thornbury. In 1862, Handel Cossham, a local preacher, built the original village school, a British School, at Gillingstool. Some years later, because of overcrowding, a new infant school building was added adjacent to the original school. In 1952 the school was separated into infants, juniors and seniors and the latter formed the ‘Thornbury County Secondary’ school. Prior to this it was an ‘all-age’ school taking pupils up to age thirteen, known as ‘Thornbury Council School’. On 7th October 1873 James Eley’s uncle, John Trotman Park of Merry Ford, or Mireford Farm, Kingswood, died aged 61 years. Probably, it was as a result of this death that James and Anne Eley left Morton and moved to the 100 acre (1871 census) Merry Ford Farm. Their youngest son, John Park Eley was born at the farm on 27th July 1874 and their choice of name probably indicates that their uncle (who left property in excess of £5,000) had helped them in some way. From this time James and Anne seem to be worshipping at Kingswood Congregational Church. James and Anne Eley had nine children between 1864 and 1874. According to the 1881 census return all their children were born at Thornbury except the youngest, John Park, who was born at Kingswood. None of the children were baptised as infants. Sadly, in 1871, James and Anne lost their infant son, Francis Augustus and in 1873 two more young children, Annie Selina and Maud Elizabeth. Annie Selena drowned accidentally in a pan of water. The death of the three infants was followed by further catastrophe, James himself was taken ill with Typhoid. He made his will on 14th September 1874 and died on 17th September that year. The Death Certificate records that James Eley died at Kingswood and that he was a thirty-five-year-old farmer. The cause of death was given as Typhoid Fever – certified. Benjamin Simmons, Registrar, registered the death on 19th September and the informant was Charles Baker of Kingswood who was present at the time of the death and he made his mark. His estate was valued at under £800 and his body was laid to rest at Kingswood Congregational Chapel where there is still a fine family gravestone. Trustees: Henry Shield of Barber’s Lands, Tytherington Farmer and Brother-in-Law and Thomas Bell of Huntingford, Wotton-under-Edge, Cousin and Farmer. May 12, at the Baptist Chapel, Thornbury, by the Re. J. Morgan, Mr.James Eley, of Moreton, to Ann, youngest daughter of Mr. James Shield, of Tytherington. Ann Shield was born on 15th March 1837 at Barbers Land Farm, Tytherington. She was the eighth child and fifth daughter of James and Mary Shield. Her father was a farmer of the two hundred acre Barbers Land Farm. Anne Shield was baptised on 20th May 1837 at Tytherington Parish Church. Her name appears in the 1841 census when she was at home aged four years and in the 1851 census return she was at home and described as a fourteen-year-old farmer’s daughter born in Tytherington. In 1861 Annie (sic) was at home at Barbers Land Farm and described as unmarried twenty-three-year-old daughter and born at Tytherington. Anne Shield received adult baptism on 28th April 1861 at Thornbury Baptist Church and she became a Member of that church in 1871. On 12th May 1863 the Reverend John Morgan at Thornbury Baptist Church married James Eley to Ann Shield of Tytherington. He was described as a twenty-seven-year-old carpenter of Morton, son of Thomas Eley, a yeoman. Ann was described as a twenty-five-year-old spinster of Tytherington, daughter of James Shield, a yeoman. The witnesses were Henry Shield her brother and Susannah Daniell, her niece. The Bristol Mercury for 16th May 1863 reported: ‘May 12 at the Baptist Church, Thornbury, by the Rev. J. Morgan, Mr. James Eley, of Moreton (sic), to Ann, youngest daughter of Mr. James Shield, of Tytherington’. When James was only twenty-three his mother died and his father died four years later in 1864. He inherited Whites Garden, House and garden and Homefield at Morton from his father in 1864. In the 1861 Census James Eley was described as a Carpenter and then in later life as a Farmer of Lower Morton. On 7th October 1873 James Eley’s uncle, John Trotman Park of Merry Ford, or Mireford Farm, Kingswood, died aged 61 years. Probably, it was as a result of this death that James and Anne Eley left Morton and moved to the 100 acre (1871 census) Merry Ford Farm. Their youngest son, John Park Eley was born at the farm on 27th July 1874 and their choice of name probably indicates that their uncle (who left property in excess of £5,000) had helped them in some way. James and Ann Eley had nine children between 1864 and 1874. According to the 1881 census return all their children were born at Thornbury except the youngest, John Park, who was born at Kingswood. None of the children were baptised as infants. Sadly, in 1871, James and Anne lost their infant son, Francis Augustus and in 1873 two more young children, Annie Selina and Maud Elizabeth. Annie Selina drowned accidentally in a pan of water. After the death of her husband, James Eley, in 1874 Annie Eley continued farming. In the 1881 census she was still at Merryford Farm, Kingswood where she farmed 74 acres assisted by two labourers Emma and David Field. Merryford Farm, Kingswood. Annie, Head, Farmeress of 74 acres, aged 44 years, Tytherington; Florence M. Eley 17 years, born Thornbury; Kate. S. Farmer’s daughter, 16 years; James S. Scholar, 14 years, Thornbury; Walter H. Scholar, 12 years, Thornbury; Ernest E. Scholar, 11, Thornbury; John Park Scholar, 6 years, Kingswood; Emma Field, General Servant, 18 years The Gibb, Wiltshire; David Field Farm Servant (Indoor) 16 years, Grittleton, Wilts. In 1881 Annie had the children baptised at St Mary’s Parish Church in Kingswood. Some of them returned to Nonconformity in later life. At the time of the 1891 census the return lists Ann Eley as farming at Merryford Farm, Charfield Road, Kingswood. Ann was described as a forty-four-year-old farmer born in Tytherington. Sarah K. was aged twenty-five, a farmer’s daughter, born at Morton; James S. was aged twenty-four, a farmer’s son, born at Morton; Walter H. was aged twenty-two, a schoolmaster-in-training, born at Morton; Ernest E was aged twenty-one, a farmer’s son, born at Morton and John P. was aged sixteen years, an ironmonger’s apprentice born at Kingswood. Their general domestic servant was Amelia F. Greenwood, aged twenty-five-years and born in Abergavenny. In 1892 Annie moved to Tortworth where she farmed with her sons Shield and Ernest and in 1894 she is described as a dairy farmer. Ernest married in 1893 and Shield married in 1896 and at this time Annie decided to retire from farming, leaving her eldest son Shield and his wife, Minnie, at Tortworth. By this time Ernest and Emily were probably living at Hengaston Farm, Berkeley. There is confusion as to the location of Tortworth Farm and its relationship with Brook Farm. In 1901 Anne Eley was staying at Kendleshire with her son, John Park Eley, a twenty-six-year-old farmer. She was described as a sixty-three-year-old widow, born at Tytherington. Grandma Eley moved to a town house in Montpelier, Bristol where she remained until 1905. In the Kelly’s Directories for 1905 and 1906 she is living at 8 Sefton Park Road, Montpelier which is in St Bartholomew’s Parish. She was living at Kendleshire Farm with her elder daughter Florence Caple from 1905 to 1908, and then with her youngest son, John Park Eley, at The Chestnuts, Mays Hill, Frampton Cotterell until her death. In the 1911 census she was listed as being at Mays Hill, Frampton Cotterell with John Park Eley. She was described as a seventy-four-year-old widow born in Tytherington. Ann Eley died in her ninety-seventh year at the home of her eldest son, Shield Eley, at Whitfield near Falfield, on 27th December 1934. She was described as widow of James Eley, farmer. The cause of death was given as a cerebral haemorrhage and Arterio-scierosis (No PM) and was certified by E.M. Grace MRCS. The death was registered on 28th December. J. Shield Eley was present at the death and was the informant and the registrar was W. May. Her body was laid to rest with her late husband at Kingswood Congregational Church on 1st January 1935. ‘James Eley & Anne Shield were married at the Baptist Chapel Thornbury by the Revd John Morgan May 12th 1863. ‘James Eley of Morton, carried on his father’s farm there to which he brought his bride, Anne Shield. Her father, James Shield, farmed at Barbers Lands, Tytherington, and was born in 1780. I have photographs of him and his wife Mary Isaac, born in 1798. Their daughter Anne was a remarkable woman. She bore eight children in ten years, losing her husband and two children from fever within a year, but carried on the farm and brought up the remaining six, settling all the boys up well, and survived to the age of 97! She was an excellent organiser, as her children sometimes complained, for she worked them hard to keep on the farm with 40 milking cows, and butter and cheese to make and market. During my childhood she was always immaculately dressed, with beautiful caps of velvet, lace and ribbons, and a long gold chain and ivory and gold charms, with which we loved to play. A keen whist player, scathing to anyone who revoked, she maintained a lively, adventurous spirit until her 90s. At 92 she fell downstairs and broke her collarbone, but it set well and she completely recovered, to enjoy rides in a motorcycle sidecar. Seeing a large dock crane she wished she could have a ride in its bucket – at that age. Her health failed in the last two or three years, and she looked forward to being released – not relishing an inactive existence – dying in 1934. James Shield was one of the earliest motor oil agents, for Mobiloil, and an early car owner. Walter was second master at Latymer High School, Chiswick, retiring to Thornbury to work 5 acres as a market garden, and driving to London with produce until nearly 90, while the youngest son, John Park, a farmer and Chairman of the Gloucestershire War Agricultural Executive Committee 1914-18, made a pioneer of farming radio – predating “The Archers” by a series with his family in 1935 on Western Region, as “Gunters Farm”. I have a photograph from the Radio Times of that year of them in the rickyard, at “Mays Hill”, Frampton Cotterell. ‘Sister Emily joined us for tea and afterwards went with us to see Mrs. James Eley, widow of our cousin James. She lived in Montpelier. There were seven of us altogether, us four brothers, sister Emily Alice, Henry’s wife and her sister. We went a long distance by tram, then walked the rest of the way. In answer to yours of Saturday, I do hope it has not put you to any inconvenience by not writing before today being holiday. I could not very well manage to write on Saty or yesterday. I was anything but well – my head very bad at time & my eye is giving me a lot trouble. I ought to see the Dr but put it off from day to day hoping each day it will be better. Glad to say all here are well. And I am well in body. God it is my poor old head that I suffer so much god only knows. I will tell you what I know but I have forgotten so much. Peter had seven sisters and they all married. John Pinnell’s mother was one. John Bell’s another, Emma Dalton; another but I cannot remember her name just now. She had one daughter dead some years ago. Mrs Dalton’s daughter I don’t know if she is still living. Mrs Bell had two sons and a daughter – all dead. Mrs Pinnell had two daughters Pollie – Mrs Bell and Bessie dead some years. Aunt Pinnell had two sons John and Thomas. I don’t know Thomas dead years ago, left any children and I never knew how many children Aunt Philpott had. I know Willie the one in London and one of his sisters or I did many years ago. Tom Eley’s family now – Ernest and wife came to see us when they are at Bristol 2 or 3 times, as for the girls I know that they married that’s all. What a day yesterday. I felt sorry for Shield and Minnie and the Mount Pleasant people and the young folk at the Bank at Sharpness. I hope that they are all in the best of health and enjoying themselves with their loving mum and dad. I went down on the road hoping to see you when you returned home. Some one told me you had gone by so I was disappointed. Glad you found things going on alright, garden and all. Well done. Ruthie and how are you now my two darlings. I hope you are well and my dear K quite herself again. I was so sorry she has been so unwell. Now I will close this jumble. I dare say you will be able to understand the most of it with the help of your better half. With all good wishes for a good round sum for my dear children etc. goodbye dear with fondest love to dear Katie yourself and each dear child. Ever your loving and affectionate Mother. Annie Eley. ‘The stairs lay between the office and the sitting room, and were very steep. I took pride in coming down at breakneck speed, in two or three leaps, and enjoyed Mother’s horrified protests. Grandma Eley fell down them when she was 92 and broke her collarbone, but it set well and she lived to be 97. She was a fine old lady, who had been left a widow with six surviving children at the age of thirty-seven. My grandfather died of fever in 1874, and three of the children had also died in the previous year or two. Grandma carried on farming for many years, at Mireford Farm, Kingswood, and eventually at the Home Farm, Tortworth. She was an excellent organiser, and saw to it that the children did their full share, and in due time set all the boys up well. She always wore beautiful caps of velvet and lace, trimmed with ribbons, and wore a long gold chain, from which hung an ivory drum, hand, pistol and several gold charms. We loved to sit on her lap and play with them. She much enjoyed a game of whist, at which she was very good, and had a low opinion of anyone who revoked. At over ninety she still enjoyed a ride in a car, or a motorcycle sidecar, and, viewing one of the tall cranes at work on the dock one day, she said she would like to go up in the bucket! She was then ninety-two, but I think she would have been game. Once when she was visiting us, Mother was called away for a while when preparing lunch, and set me to watch that the cauliflower did not boil over, and was horrified on her return to find that I had ensured this by stirring it so vigorously that it was minced up to fine particles! From time to time Grandma Eley sent us 1/-, in the form of twelve 1d stamps stuck on a printed Post Office slip issued by them to encourage savings. “Look after the pennies and the pounds will look after themselves.” However, one could get a quarter of most sweets for 1d, and that is how it went. ‘Anne Eley, Born Anne Shield 15 March 1837. We your Children, Grandchildren, Great Grandchildren, and Relations by Marriage, lovingly greet you on your Ninetieth Birthday and congratulate you on attaining to so great and honourable an age. Assuring you of our warm affection and our delight in still having you amongst us. We herein append our signatures, their number being 42 in all. Grandchildren: Phyllis May Eley, Betty Emily Eley, Grace Margaret Terrett, Ethel Maud Eley, Ruth Millicent Quick, Annie Florence Janet Durn, Donald James Marling, James Ernest Eley, Kathleen Annie Marling, James Bernard Eley, Dorothy Frances Harman, John Wilfred Eley, Kenneth George Marling, Jack Shield Eley. Great Grandchildren: Mary Doreen Durn, Margaret Daisy Eley, Patricia Ruth Cory Eley, Isobel Joan Eley, Alma Doreen Eley, Richard John Eley, Mary Ruth Quick, William Ernest John Terrett. Sons’ Wives: Mary (Minnie) Eley, Alma Louise Eley, Emmie Eley, Mary Ethel Eley. Daughters’ Husbands: George Caple, Frank George Marling. ‘Congratulations on 90th Birthday. Member of Well-Known Family. Mrs Anne Eley, of Mays Hill, Frampton Cotterell, was the recipient of many congratulations on attaining her 90th birthday on the 15th inst. Mrs Eley, who comes of an old Gloucestershire farming family, was the youngest daughter of the late Mr and Mrs James Shield of Barber’s Lands, Tytherington. She had numerous brothers and sisters, some of whom emigrated to Australia, and she is the only one surviving. ‘Aged Ninety Seven Years – Death at Whitfield of Mrs Ann Eley – On Monday the grave of Mr James Eley, formerly of Mireford Farm, Kingswood, was re-opened for the interment of his widow, who outlived him by sixty years. Mrs Ann Eley had attained the advanced age of 97, and except for the lifelong affliction of deafness had retained her faculties to marked degree. Death took place at the home of her eldest son at Whitfield. On the death of her husband Mrs Eley continued farming at Mireford for some years and when her sons grew up moved to another farm at Tortworth. Since her retirement she had resided with sons and daughters. All who knew her held her in the highest esteem and regard. As stated the remains were interred at Kingswood Chapel graveyard on Monday, many old friends of the deceased joining with the family in the service conducted by the Rev. A.T. Mills (minister), assisted by the Rev. James Hardyman. Miss Mary Mills presided at the organ. Hymns used were, “There is a land of pure delight,” and “How sweet the name of Jesus sounds”. Family mourners present were Mr and Mrs J Shield, Mr and Mrs Walter Eley, Mr John Eley and Mr Ernest Eley (sons and daughters-in-law), Mr and Mrs Frank Marling (son-in-law and daughter), Mr and Mrs J.T. Shield, and Miss Shield, and Mr and Mrs L.H. Shield (nephews and nieces), Miss Eley, Mr G.E. Durn, Mr and Mrs B Randall, Wick, Mrs Wm Terrett of Tetbury, Miss Kathleen Marling and Mr Cyril Wyatt (grandchildren) and Miss Touchfield. Among the large number of others who attended as a mark of respect were noticed Messrs Dan Smith (Winterbourne), E.A. Smith (Tortworth), Mr and Mrs Cordeaux, Mr Herbert Wilcox J.P., Mrs Young and Mr v Young of Mangotsfield, Mrs E Mayne, Miss Tudor, Mr W Rogers (Bristol), Mrs Benson, and Miss Langler (Charfield); Messrs A S Durn, T.A. Daniell (Buckover), J H Weekes, T Jones, C.W. Pearce, T J Powell, A Cox, H.G. Oliver, J.P., Miss Holloway, Mrs Bolton, Mrs J Downs, Miss K Orchard, Miss Stinchcombe, Mr J Holpin (Falfield), Mr and Mrs E Bryant, Mrs W Fennell, Mr L G Matthews, Mr W Cowley, Mrs Wallis, Miss Doris Wilson and others. Four grandsons served as bearers, viz., Messrs. Bernard Eley, Wilfred Eley, James E Eley, and John S Eley. Messrs Tucker Bros, Thornbury, had charge of the arrangements. Florence or ‘Florrie’ Eley was born in 1864 at Morton and baptised at St Mary’s Church Kingswood on 18th September 1881 aged seventeen years. In the 1901 census return Florence Eley, aged thirty-seven-years, born (about 1864) at Morton and working as a draper’s clerk was staying at 109 Richmond Road, Bristol, the home of her second cousin Henry Shield and his wife Frances Shield. Henry was a farmer’s son, and was aged fifty years, working as a commercial agent and born at Winscombe in Somerset. His wife Frances was aged thirty-nine-years and was described as born in Clifton. Interestingly Henry Shield was brought up in the village of Winscombe at the same time as Florence’s future husband, George Caple. Florence Eley married George Caple, a sixty-three-year-old Farmer and Widower of Kendleshire Farm, Winterbourne at Coalpit Heath Parish Church on 3rd June 1907. His father was described as William Caple, a deceased Farmer. Florence Mary was described on the Marriage Certificate as a forty-three-year-old Spinster, the daughter of James Eley, a deceased Farmer. The witnesses were John Park Eley and Leah (sp?). In 1851 seven-year-old George was at the King William, Sidcot, Winscombe, where his father was the beer house keeper. George’s parents were William and Clara Caple and George had older sisters who were both born in Saltford, Ann aged fifteen and Catharine aged eleven. George was born in Winscombe. In 1861 the Caple family had moved to the Queen’s Head Inn at Willsbridge, Longwell Green, in Hanham Parish. William was the innkeeper and George was described as a seventeen-year-old born at Woodburrow in Winscombe. Staying with the family was George’s cousin, Charles James Morse, an eight-year-old butcher’s son born in Bristol. His mother Clara and sisters Ann and Catherine were all at home on the night of the census. In 1871 George Caple was living at Longwell Green, Bitton, with his parents William and Clara Caple. His father was a sixty-two-year-old farmer of sixty-two acres, employing one labourer and he was born at Woodborough, Somerset. His mother was aged sixty-three and born in Cheddar. George was described as a farmer’s son, aged twenty-six-years, and born at Winscombe in Somerset. In 1881 we find Clara Caple farming at Kendalshire Farm (sic), near to Damason’s Bridge, Winterbourne and Coalsack Lane, and the census return informs that this had been amalgamated with Westerleigh. She was described as a seventy-year-old Farmer’s wife, born in Cheddar. With her was her son George, unmarried, thirty-five-years-old, and born at Winscombe. Annie Woodruff was their servant. On the night of the census William was staying with his daughter Catherine Hancock whose husbande Jesse was farming fifty acres at Winscombe. George Caple married Mary Anne Matthews in Chipping Sodbury Registration District during the last quarter of 1889. She was the daughter of, George Matthews, a farmer, from Winterbourne. In 1841 he farmed at Hicks Common and ten years later, in 1851, he had eighty acres employing five labourers. He came from Winterbourne and his wife Ann came from Blagdon in Somerset. Mary Ann was born in about 1842 and she also had a brother called George. In 1881 George Mathews (sic) was farming 150 acres at Kendalshire (sic) with three labourers and a boy. George was now seventy-seven; his wife seventy; George Mathews was thirty-seven and Mary A. Mathews was thirty-nine. The Caples and the Matthews were clearly neighbours. In 1891 George Caple was farming at Kendleshire in Westerleigh Civil Parish. He was described as forty-eight-years-old and born at Winscombe. His wife Mary A. Caple, was aged forty-nine-years and born at Winterbourne. With them was George’s mother-in-law, Ann Matthews, aged eighty-five-years, living on her own means, and born at Blagdon in Somerset. In 1901 George Caple was still farming at Kendalshire (sic) in Westerleigh. George was described as a fifty-seven-year-old farmer and employer, born at Winscombe. Mary Ann, his wife, was fifty-eight-years-old and born at Winterbourne. Their servant was Alfred Watkins, a twenty-one-year-old General Agricultural Labourer, born at Alveston. Mary Ann Caple died in the second quarter of 1906 in Bristol Registration District aged sixty-four-years. At the time of the 1911 census Florence Mary Caple was still at Kendalshire (sic), Winterbourne. She was described as having been married for three years, being forty-seven-years-old and born at Morton, Gloucestershire. Her husband, George Caple, was aged sixty-seven-years, a farmer, born in Winscombe, Somerset. They had seven rooms. According to probate records George Caple of The Firs, Alveston, died on 22nd August 1927. Probate was granted (save except settled land) at Bristol on 1st December 1927 to Florence Mary Caple, widow, James Shield Eley, commercial traveller, and Henry Wilmot Wickham Atchley, Solicitor. Effects were valued at £5, 585-1-6d. The probate was revoked on 10th February 1928 but re-granted at Bristol on 10th February 1928. On 31st December1921 Florence Caple prepared a very succinct will. She left £100 to ‘God’s work viz Muller’s Orphanage, Ashley Down’. She left £50 to her nephews and nieces and her four brothers and sister. To her executor, her brother, Shield Eley, she gave £25 for his trouble. The witnesses were her husband George and her nephew J. Bernard Eley. George Caple died during 1927. Florrie pre-deceased her mother, Anne Eley, and died on 30th August 1933 aged sixty-nine-years. According to probate records Florence Mary Caple of 17 Parkstone Avenue, Horfield, Bristol, widow, died at Sherborne House Nursing Home, The Spa, Gloucester. Her administration with will was granted/proved (?) at Gloucester on 5th December 1933 by James Shield Eley, retired commercial traveller, Her effects were valued at £5,011-3-2d. Florrie’s tombstone refers to her as ‘of Kendleshire’. She was buried at Mount Pleasant Chapel at Falfield. Whilst George and Florrie Caple had no children their nephew, James Bernard Eley, was farming at Kendleshire in 1939. ‘Not far away, at a lovely old farm at Kendleshire, lived my mother’s only sister, Florrie, and her husband, George Caple. Aunt Florrie was decidedly eccentric, but Uncle George took a fancy to me for some reason, and avowed I would end up a Director of the Bank! My aunt was a regular miser, and although they had a dining room, drawing room, and a large boudoir, as well as a huge kitchen, she always had her meals in a tiny scullery, with a deal table covered with newspapers. When she died, about forty tablecloths, mostly beautifully embroidered, were found among her things, and she left money hidden all over the place. Three lovely tea services were laid out in the other rooms, as well as other beautiful things, but they had belonged to Uncle George’s first wife, and Aunt Florrie derived no enjoyment from them. When I first stayed with her, I poured the water from the jug on the washstand into the basin, but it was full of wriggling mosquito larvae! I poured it all back, and sieved it through the face cloth, but my cousin Bernard persuaded me to wash outside at the well in the yard after that. Uncle and Aunt had given up farming, and a couple named Carter rented the land and buildings, apart from an orchard where Aunt Florrie kept her hens, which were her pride and joy. She almost tucked them up at night – certainly they were more important to her than Uncle George. Sometimes they laid away, and I have found clutches of up to fifteen eggs in the long grass, and only patient searching would discover a favourite spot. One hen had the unfortunate habit of laying in a disused earth closet, and despite it not being in recent use I hated having to fish eggs from such an unpleasant nest! Farm closets were social centres, with two, or even three, seats side by side, the third often being lower than the others, for small children. My cousins would sit there together of a morning, enjoying a chat for quite a time, without turning a hair. I was in one of the buildings playing with a chaff cutter – a lethal implement – and Mr. Carter finding me turning it over, told me to leave it alone, and was turning me out. There was bad blood between him and my aunt, who overheard him, and she leapt over the orchard wall and charged at him like a wild cat for interfering with me. In the orchard, which lay outside the boudoir, were plum trees – great luscious Belle de Louvaine – and I would sit up in the tree fork and stuff down as many as I could eat. Kate Eley was born on 17th April 1865 at Morton and baptised on 18th September 1881 at St Mary’s Church, Kingswood at the age of sixteen years. She married her second cousin Frank George Marling at Mount Pleasant Chapel, Falfield, on 7th September 1893. She was descended from Thomas Eley and her husband, Frank Marling, was descended from Thomas’s brother James Eley. Frank George Marling (1863-1954) was born in Berkeley. At the time of the 1871 census eight-year-old Frank was staying with his Uncle Edward at 14 Dighton Street, Bristol. He was accompanied by his mother and sister Grace. In 1881 he was at home aged eighteen years and described as a ‘Postmaster’s Clerk’ and in 1891 still at home, a Clerk, aged twenty-eight-years. Frank Marling married his second cousin, Sarah Catherine Eley on 7th September 1893 at Mount Pleasant Chapel, Falfield, and had issue. Frank later became Secretary of Sharpness Docks, Pilotage Agent and Agent for the Capital and Counties Bank. He was also a Founder Member, Deacon, Sunday School Superintendent, and Secretary of Sharpness Union Chapel. At the time of the 1901 census Frank and his family were living at 9 Dock Row, Sharpness. He was described as a thirty-eight-year-old Dock Clerk and Bank Agent, born in Berkeley. His wife Sarah c. Marling was aged thirty-five-years and born in Berkeley. Their children included Donald J. aged six years; Kathleen A. aged five years and Ruth M. Marling aged one year. All the children were shown as born in Sharpness. With them was his mother, Martha Marling, a sixty-six-year-old widow, born in Berkeley. When Frank retired in 1931he and his wife moved to Esk House, Coombe Terrace, Wotton-under-Edge Later they later moved to Gloucester and then to Harrow. Sarah died on 2nd March 1951 at the age of eighty five. Frank felt lonely after his wife’s death and formed an attachment with a woman in Harrow, whom he married at 89. Frank married Elizabeth Weaver (Lewis) who was to survive him twenty six years. Sarah Catherine and Frank had four children. ‘Mr and Mrs Marling send loving greetings to their four children and partners; to their eight grandchildren, to their surviving brothers and sisters and to other relatives and friends on the 80th Anniversary of their first meeting at Morton, Nr Thornbury, Glos. The first week in May 1867. Vividly remembered by the first named. Happy still to be spared to each other at 55, Radnor Road, Harrow, Middlesex May 1947. James Shield Eley was born on 7th February 1867 at Lower Morton. His birth was registered on 13th March 1867 by Thomas Harney, Registrar. He was baptised at St Mary’s Kingswood on 18th September 1881 aged fourteen years. In 1893 he was farming with his mother and brother Ernest at Tortworth. James Shield Eley married Mary (known as Minnie) Bennett, daughter of Charles and Ann Bennett, a Retired Farmer. She was born on 8th March 1862. The 1881 Census records her as living at home at Falfield with her parents and two of her siblings. A letter dated July 1882 written by her sister Emily Bennett to Hannah Lewis of Falfield speaks of her sister Lucy Bennett going on a visit to Chepstow and her sister Minnie going to Bournemouth for about two months. Minnie would have been staying in Bournemouth with their brother Charles (1854- ). Minnie married James Shield Eley at Mount Pleasant Chapel, Falfield, on 13th April 1896, when she was thirty four years old and he was twenty nine. At the time of the marriage Mary was living at Stone and James Shield Eley’s address was given as Tortworth and he was described as a farmer. The witnesses were Charles Bennett and Walter Henry Eley. The minister was Edwin Child and they were married according to the rites and ceremonies of the Congregationalists. Minnie’s parents farmed at Falfield Green and later lived at Falfield Villa and then Norton House, Stone, but both were buried at Mount Pleasant Chapel during 1899. During the year of their marriage Shield’s mother, Annie Eley, retired from farming and moved to Bristol. His brother Ernest and his wife had also moved to Hengaston Farm, Berkeley. According to the Bristol Times and Mirror of 10th April 1897 J.S. Eley stood for election to Falfield Parish Coucil but was not elected as he had only thirty-five-votes. In1900 Shield and Minnie were still farming at Tortworth. At the time of the 1901 census James S. Eley was farming Tortworth Farm, next to Brook Farm. He was described as aged thirty-four-years, a farmer, born at Morton. His wife Mary was listed as thirty-four also and born at Falfield. Their General Domestic Servant was Sarah Hobby a sixteen-year-old worker, born in Tortworth. There is confusion as to the precise location of Tortworth Farm and its relationship with Brook Farm. Eventually Shield gave up farming and in later years he became an Agent for Motor Oil and then for Lister Mill Separators. For 34 years he was associated with the Hop Pickers Mission, Mount Pleasant Union Chapel and Thornbury Baptist Church. In 1911 James Shield Eley was living in twelve rooms at Norton House, Stone, Falfield. He was described as the head of the household, aged forty-four-years and married for fifteen years. His occupation was given as Commercial Traveller – Dairy Machinery and his place-of-birth was given as Lower Morton, Thornbury. His wife Mary was aged forty-nine-years and was born in Falfield. Living with them was Emily Bennett and Lucy Ann Bennett, his sisters-in-law who were both single. Emily was aged sixty-three-years and Lucy Ann was sixty-one years. Both were born in Falfield and had their own private means. Their domestic servant was Amy Winifred Scriven (sp? ), aged nineteen years and born in Bath. Minnie died on 2nd October 1940 aged seventy-eight-years at Whitfield House. The cause was given as Carcenoma of the Stumoch (cordine end?) and Mitral disease. The informant was J. Shield Eley, Widower of the Deceased and he was described as a Retired Commercial Traveller. Probate of her will was granted out of the Bristol District Registry on 16th December 1940 to Robert Montague Bennett, chartered accountant, and John Wilfred Eley, farmer, and was worth £2,184.1.7d.The probate records index value her effects at £1,638-2-2d. Falfield has suffered a great loss by the death of Mrs. Mary Eley (72), the wife of Mr. J. Shield Eley, of Whitfield, Falfield. Mrs. Eley had been closely associated for very many years with Mount Pleasant Chapel, of which she was secretary and she was particularly interested in the work of the Sunday School. W.J. Baker and Mr. Wm Webb, Mr. A. Wilcox and Miss White, deacons, representing Wickwar Congregational Church. Mr. H.M. Haddrell, representing Alveston Down Methodist Chapel. Rev. D. Edwin Davies, Mrs. Davies and Miss Ford representing Berkeley Union Church. Mr. and Mrs. H.M. Staley and Mr. and Mrs. G. Staley representing Oldbury Methodist Church. Mr. and Mrs. J.T. Nichols and Mr. A.S. Cooper, representing Thornbury Baptist Chapel. Mr. F.S. 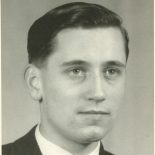 Lovell, honorary Secretary, Kingswood, Hanham and District Band of Hope Union. Mrs. Browning J.P., representing Stone and District Nursing Association. After Mary Eley’s death Shield married his housekeeper, Rosina Pullen, who, after Shield’s death, became life tenant until she vacated Whitfield House in 1950. She died in about 1956. Shield made a will on 4th May 1944 and died on 2nd January 1945 aged 71 years. He was buried at Mount Pleasant Chapel. Probate was granted on 10th October 1945 to his executors Robert Montague Bennett, John Wilfred Eley and Charles James Pullin and the gross value of his estate was over £12,000. Pecuniary Legacies included £100 to Gloucestershire Congregational Union for Falfield Chapel; and £50 each to Thornbury Baptist Church and Hereford Hop Pickers’ Mission and £25 each to J.W.C. Fegan’s Homes, Scripture Gift Mission, British & Foreign Bible Society and London Missionary Society. The residuary estate was divided in equal shares to the children of Mrs Frank G. Marling, Ernest Edward Eley, John Park Eley and the nephews and nieces of J.S. Eley’s first wife Mary Eley, deceased) who were the children of Charles Bennett deceased, Leonard Bennett deceased and Mrs Isaac Holborow deceased. ‘This is the Last Will and Testament of me Mary Eley of Whitfield Falfield in the County of Gloucester made this first day of March in the year of our lord one thousand nine hundred and thirty seven. I hereby revoke all wills made by me at any time heretobefore. I appoint Robert Montague Bennett Chartered Accountant 180 Redland Road Bristol and Wilfred Eley Farmer May’s Hill Frampton Cotterell Bristol to be my Executors and direct all my debts and Funeral Expenses shall be paid as soon as conveniently may be after my decease. I give and bequeath unto my husband James Shield all my personal effects and household furniture together with the monies standing in my deposit account at the National Provincial Bank at Thornbury Bristol absolutely and I appoint he shall receive the dividends and interest on all my investments during his lifetime together with the rents of my two cottages situate at Broad Oak Falfield. After his decease I direct my Executors to transfer the said Cottages to my nephew Gordon Bennett now residing at Kingsholm Gloucester for his own possession and to realize all my investments and pay first of all to Gordon Bennett the sum of £100 (one hundred pounds) duty free and afterwards divide the Residue in equal proportions between all the other Nephews and Nieces on both my own and my Husband’s side. Signed by the said Testator Mary Eley in the presence of us present at the same time who at her request in her presence and in the presence of each other have subscribed our names as witnesses. G.M. Teague (Spinster) Mays Hill, Frampton Cotterell, William J. Baker (Clerk) 292, St. John’s Lane, Bristol 3. Be it known Mary Eley of Whitfield Falfield in the County of Gloucester, wife of James Shield Eley, died there on 2nd day of October 1940. Dated 16th December 1940 C.O. French, District Registrar. Walter Eley was born on 13th October 1868 at Morton. In the 1891 census return he was described as a twenty-two-year-old schoolteacher in training. Ten years later he was a boarder at Leamington Villas, Chiswick Lane, Chiswick St Nicholas, the home of John Walklate and his family. Walklate was described as a forty-year-old foreman Mechanical Engineer. Walter Henry gained his B.A. Honours degree from London University and became a Master at Latymer High Street, Chiswick from 1895 until 1929. In 1911 Walter Henry Eley was staying with John Henry Heirgott (sic), a hairdresser, and his family who lived in a private house with eight rooms, St Helens, Bath Road, Hounslow, Middlesex. Walter Henry was described as a forty-two-year-old single Assistant Secondary Schoolmaster employed by the Latymer Foundation at Hammersmith and British by parentage. John Henry Heirgott was aged fifty-five-years, married, a Hairdresser working on his own account and born in Germany. His wife of twenty-six-years was Alma Alice Louise Heirgott, aged forty-two-years and born in Clapham, Surrey. Their son was Arthur Henry Heirgott, a single twenty-five-year-old with no occupation. He was born in Westminster Bridge Road, London, and was described as German. Interestingly the enumerator initially thought that Walter Henry eley was the head of the household and the List had to be amended! Johann Heinrich Heergott was born in Hamburg in about 1855. He was the son of Johann Heinrich Heergott, a tailor. He had arrived in England by 1881 when he was living at Lambeth Baths, 156 Westminster Road, and working as a Hairdresser. He was described as Henry Hurgott (sic), twenty-five-years-old, single, and born in Hamburg, Germany. With him was Herman Belleville, a fifty-two-year-old Hairdresser, who was born in Freishok (sp?) in Prussia. On 17th September 1882 Johann Heinrich Heergott, aged twenty-seven-years, married Alice Louisa MacNair at St Peter’s Church, Battersea. He was described as a hairdresser, living at S. Mary, Lambeth, the son of Johann Heinrich Heergott, a deceased tailor. Alice Louisa MacNair was aged twenty-one-years, of 21 Benfield Street, and daughter of James MacNair, a weaver. The witnesses were H. Belleville and L. MacNair. Arthur Henry Heergott, their son, was born during the third quarter of 1885 in Lambeth Registration District. In 1891 John Henry Heergott and his family were living at 30 Streathleven Road. He was described as a thirty-five-year-old hairdresser born in Germany and a British subject. His wife Alice (sic) was aged twenty-nine-years and born in Battersea. Their son Arthur was aged five years and born in Lambeth. Visiting was James McNair, a sixty-three-year-old shopman, born in Lambeth. Also staying was Marie Batcheler, a forty-three-year-old Cook (Domestic) who was forty-three-years-old and born in Norfolk. In 1901 the Heergotts had returned to 156 Westminster Bridge Road. John H. Heergott was a forty-five-year-old employer, a Hairdresser, born in Germany. His wife, Alma Heergott, was aged thirty-eight-years and born in London and their son Arthur H. Heergott, was aged fifteen and born in London. Next door was James McNair, aged sixty-years, the Bath Superintendent, who was born in Lambeth. His wife Emeline M. McNair was the bath attendant and was born in Winchester, Hants. James McNair had married Emmeline Martha Linwood in Fulham Registration District during 1894. Arthur H. Heergott married Olive E. Taylor during the second quarter of 1919 in Brentford Registration District, Middlesex. His father, John H. Heergott, died during the last quarter of 1924 in Lambeth Registration District, aged sixty-nine-years. During that same quarter of 1924 Walter Henry Eley married Alma A. L. Heergott in Brentford Registration District. Alice Louisa McNair was born during the first quarter of 1860 in Wandsworth Registration District making her sixty-four-years-old at the time of her marriage. In 1861Alma’s father, was probably the James McNair who was a thirty-six-year-old tailor of 64 Sun Street. Alma A. L. Eley died in Brentford Registration District during the first quarter of 1936 aged sixty-eight-years. Walter retired to Alveston where he kept a five-acre market garden. In the 1931 and 1935 Kelly’s directories Walter’s address was given as ‘The Firs’, Alveston, a house situated opposite the Ship Inn. On October 5th 1937 he applied for planning permission for the erection of a bungalow in the grounds of ‘The Firs’, which was approved by Thornbury R.D.C. The builder, J. Smith of 55 Queen’s Road, Ashley Down, drew up the plans. At the time Walter’s address was given as May’s Hill, Frampton Cotterell, which may indicate that his wife, Alma, may have recently died and that he was wanting to ‘down-size’. Certainly Shield was not living at ‘The Firs’ in 1939. When Alma died his niece, Maud Eley, went to live with him as his housekeeper. Walter died on 1st May 1959 and was buried at St Helen’s Church, Alveston. He left all of his money to Maud but she died in 1965 leaving all to her niece Alma Honeyborne. ‘We are privileged to be able to print some reminiscences of Mr. W.H. Eley, who was appointed to the original staff of our School. He remembers the opening of the School on January 9th, 1895, by Dr Temple, Bishop of London, and later Archbishop of Canterbury. The School met for the first time on January 14th with 106 boys on the roll and occupied the rooms round the hall and as far as the corridor as the first doors. The staff had been carefully chosen and it was obvious from what Mr Eley says that Latymer owes a very great debt to them. “The appointment of the Rev. C.J. Smith by the governors was a wise move because, as Vice-Principal of St Mark’s Training College, he had had quite a wide experience of men. Probably they might have been influenced by the fact that he was an old Hammersmith boy who had been at Lower Latymer. In choosing his staff, the head naturally relied on St Mark’s and, as secondary education was in its infancy, they were elementary trained men with but little knowledge of the new education. From the beginning he introduced a spirit of brotherhood and trust, a spirit that continued throughout his career. On more than one occasion he accepted recommendations from the staff when making new appointments. Owing to the favourable situation of the School, the number of pupils rapidly increased, which led to an increase in the number of the masters. Many of these were young and were inspired by a spirit of enthusiasm and zeal and spared no pains in their duties. At first the morning period began at 9.45 but with the increased curriculum, optional classes were begun at 9 o’clock and Morning Prayers were held at 10. Here again was a need for extra Masters, some of whom were visiting ones such as M. Peret, who taught French. Mr Francis was appointed for Chemistry and Mr Martin for Drawing. As there was no playground, except that at the back of the School, pitches on Wormwood Scrubs had to be rented, and when Godolphin School was closed we were able to use their grounds for School matches on Saturdays. On our playground, which gradually got overcrowded, football became popular and form championship matches were so keenly fought that eventually School Prefects had to be appointed to assist in supervision. Francis Eley was born in 1870 and died on 2nd March 1871 aged eleven weeks. Annie Selina Eley died on 8th September 1873 aged one year and eight months. Maud Elizabeth Eley died on 9th October 1873 aged eight months. John Park Eley was born on 27th July 1874 at Merryford Farm, Kingswood and baptised at St Mary’s Kingswood on 28th October 1881 aged nine years. At the time of the 1891 census John Park Eley was aged sixteen years and was described as an Ironmonger’s apprentice. This was not pursued and he made his career in farming. He married Mary Ethel Smith and had four children. Ethel Smith was the daughter of Daniel Smith, the brother of Moses Smith (see notes by Annie Eley), and his wife Sarah Ann Shipp Smith. In the 1871 census return Ethel M. Smith was aged one year and living at Crockleys Farm, Tortworth. Her father was Daniel Smith, a thirty-one-year-old farmer of 250 acres, employing six men, and born at Iron Acton. His wife, Sarah Anne was aged twenty-eight-years and was also born in Iron Acton. Ethel was at home aged eleven years in the 1881 census and in 1891 she was described as living at home at Crockleys Farm and working as an Assistant Farmer. In the 1901 census return Anne Eley was staying with her son, John Park Eley, who was by then farming at Kendleshire. She was then sixty-three-years-old and born at Tytherington. John Park Eley was described as a twenty-six-year-old farmer, born in Kingswood, an employer. His wife, Mary Ethel, was aged thirty years and born in Tortworth and their children were James B. Eley, aged four years, and Ethel M. Eley aged two years. Both of the children were born in Westerleigh. They had a nineteen-year-old servant, Frances A. King, who was born in London. From about 1908 his mother Ann Eley, lived with them, at The Chestnuts until shortly before her death. In 1911 John Park Eley was living in the eight roomed Farm House at Mays Hill, Frampton Cotterell within the Civil Parish of Westerleigh and the ecclesiastical parish of St Saviour, Coalpit Heath. He was described as a thirty-six-year-old married man who had been married for fifteen years with four children who had all survived. He was a farmer and employer and was born in Kingswood, near Wotton-under-Edge. His wife Mary Ethel Eley was forty-one-years-old and was born at Tortworth. His mother Anne Eley was a seventy-four-year-old widow who was born at Tytherington. Living with them was Janet Mary Jenner, niece, a single nineteen-year-old Draper’s assistant and born at Newent. Also Elizabeth Townsend a nineteen-year-old general domestic servant who was born in Yate. The children included Bernard Eley, aged fourteen-years, who was at school and was born at Kendleshire; Ethel Maud Eley was aged twelve years, at school and born at Kendleshire; John Wilfred Eley was aged eight years and born at Kendleshire and Arthur Richard was aged one year and born at Mays Hill. John Park Eley farmed ‘The Chestnuts’ at May’s Hill, Frampton Cotterell and became the Chairman of A.E.C. during the First World War. In 1921 he bore his Uncle Henry Shield’s coffin with his brother Ernest Edward Eley. On 4th March 1932 probate was granted to John Park Eley and Daniel Smith, farmers, of the estate of Sarah Ann Smith of Manten, Tortworth, widow, who died on 17th December 1931. Mary Ethel Eley died on 30th July 1934 aged sixty-four-years and was buried at Coalpit Heath. In the Probate records Mary Ethel Eley of Mays Hill, Westerleigh, wife of John Park Eley, died on 30th July 1934. Probate was granted at Bristol on 9th October 1934 to James Bernard Eley and John Wilfred Eley, farmers. Estate valued at £1,011-5-1d. John Park Eley later married Margery Teague. She had helped Ethel during her final illness and continued housekeeping afterwards. It is said that she began courting a man from Frampton that is until Great Uncle II John Eley popped the question. Margery was only in her forties when she married and she survived him by a number of years living in the farm cottage. Alma Honeyborne remembers that Margery’s father was Tom Teague. It would also seem that Ethel and Margery were related. Rosa Smith (daughter of Moses Smith & Julia Nichols) married Thomas James Teague in 1903. I think they had a daughter, Gwendoline Margery Teague in 1904. It is possible that she was known as Margery, & she may be the lady in question. In my calculation, this would make her a 1st cousin once removed from Ethel, thus proving the connection you mention. His sons James Bernard and John Wilfred married the Newman sisters but Ivy Belle died during childbirth on 5th December 1934. This death was followed by that of his mother, Ann Eley, who died in her ninety-seventh year at Shield Eley’s home at Whitfield on 27th December 1934. The Eley family of Chestnut Farm featured as ‘Gunters Farm’, a BBC Broadcast during 1935. Ernest Eley was born on 25th November 1869 at Morton and was baptised on 28th October 1881 at St Mary’s Kingswood at the age of thirteen years with his younger brother John Park Eley. This entry was posted on June 16, 2016 by Richard Barton in Eley Family and tagged Alveston, Ann Shield, Eley, Ernest Edward Eley, Falfield, Family History, Frank George Marling, Gloucestershire, Haroldsfield Farm, James Eley, Kendleshire, Kingswood, Marling Family, Mays Hill, Morton, Mount Pleasant Chapel, Sharpness Union Chapel, Shield Family, Thomas Eley, Tortworth.